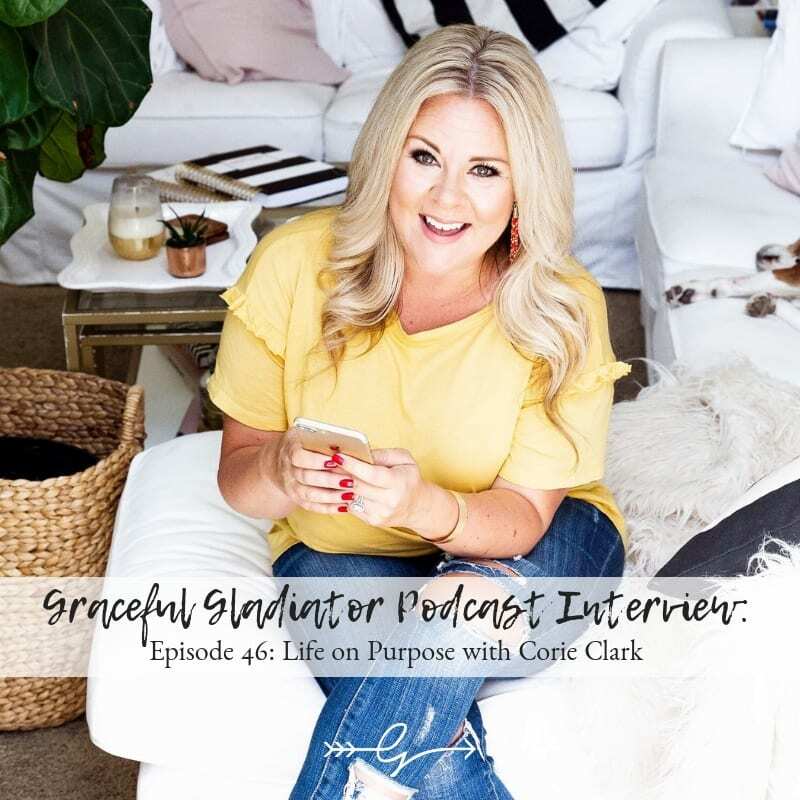 Today in the arena author of The Simplicity Project and creator of the Purposeful Planner Corie Clark shares her story of creating abundance in 15 minutes a day. Listen in to hear her story, including starting from rock bottom (AKA: laying on her daughter’s bedroom floor crying out to God) and the moment that everything shifted. Plus, a Q+A from one of our Graceful Gladiator listeners! BONUS: This week, Corie and I are teaming up for a giveaway! Make sure to follow us both on IG for deets and your chance to win a Purposeful Planner and Graceful Gladiator swag! a great gift idea for your girlfriends, Mama, sister, or any woman in your life would be a Purposeful Planner with a Graceful Gladiator tee shirt and mug! Every girl would love that sweet little bundle!